PDF documents are great, right? You can share them with anyone on the planet with the full confidence that all fonts and formatting will remain the same on any platform. But what happens when you want to edit them? Well, if you have today’s discount software promotion, proceed as planned! It’s PDF Eraser PRO! 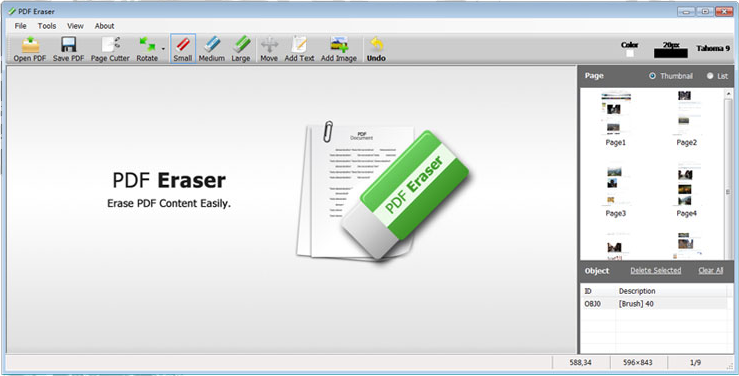 PDF Eraser PRO lets you delete text, images, and logos from PDF files, plus add your own text and images. With PDF Eraser PRO, you’ll be able to use an integrated page cutter to remove pages from a PDF file that you don’t want. Ever have that situation where someone scans a document to PDF, only to have all of the pages upside down? Fix that immediately with PDF Eraser PRO, which offers you an easy way to rotate PDF pages! After you purchase PDF Eraser PRO it may be used indefinitely. PDF Eraser PRO is licensed per computer, and not per user.